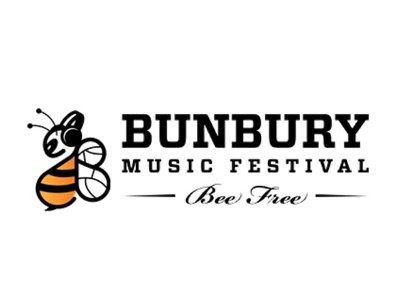 The second annual Bunbury Music Festival took place this past weekend in Cincinnati and was another huge success. The headlining bands Fun, MGMT and hometown heroes, The National did not disappoint and the next level of bands like, Belle & Sebastian, The Mowgli’s, Divine Fits, Cake, Cincy’s own Walk The Moon and Yo La Tengo, were just as great. Some of the lesser known bands such as Chicago’s The Bears Of Blue River, local folk-rockers, The Mitchells and the stomping blues and Gospel-drenched folk rock of troubadour Christopher Paul Stelling stood out as well. The showstopper of the weekend – other than the short rainstorm that delayed action for 30 mins. Sunday night – was the highly-entertaining and tirelessly energetic Saturday set by Columbus duo, twenty | one | pilots. Tyler Joseph and Josh Dun donned their trademark ski-masks in the 90 degree heat, jumped and back-flipped all over the stage and Tyler even scaled to the top of the nearly 60 feet tall stage, instantly winning over thousands of new fans with their high wire performance. In fact, they should be included in the discussion for one of the headlining gigs next year. The surprise performance of the weekend came from the Kent, Ohio folk-rock/chamber-pop hybrid, Bethesda, who inspired many of their spectators to engage in a heat-be-darned hoedown during most of their set. The singer of the band, Shanna even ran off stage to join them for a moment. They won over many new fans with their great showing of excellent musicianship and fun, personable attitude. Once again, the event as a whole was well-planned and executed. The bands were on time and for the most part, did not overlap and the food and drink prices were reasonable. All in all, the Bunbury Music Festival was a great event for the city of Cincinnati and its local music scene and I cannot wait until Bunbury 2014!